From October 7-9, 2016, we invite you to join the Down To Earth Bali family once again, as we celebrate all things Organic, Macrobiotic, Raw, and Vegan. Last year, we were excited to join a growing number of progressive-minded communities and cities around the world who have been hosting vegan festivals for many years. 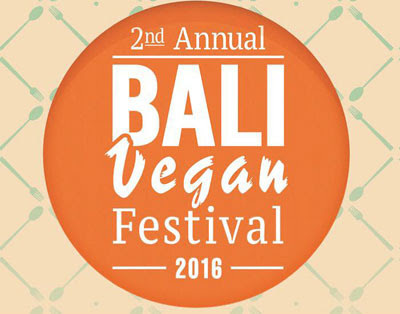 We, at Down To Earth, Bali’s premier Organic, Macrobiotic, Raw, and Vegan restaurants and marketplaces – are proud to follow up our inaugural event in 2015 by hosting this island’s second Vegan Festival, dedicated to non-violent nutrition, conscious decision-making, and universal love. Come share your knowledge and appreciation for health-oriented food and lifestyle choices with the rest of the community. We welcome vegans and the vegan-curious – everyone who is dedicated to spreading the principles of the Organic, Macrobiotic, Raw, and Vegan movement are warmly invited to participate.